Christmas is only a week away, but the Christmas music keeps coming. Clint Maedgen and Helen Gillet have teamed up to record “Reindeer Games,” which you can hear and share on Facebook or download here. 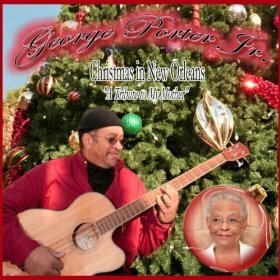 George Porter, Jr. released Christmas in New Orleans last year, but since we finally got a copy in the office today, we’ll pretend it’s a new release. 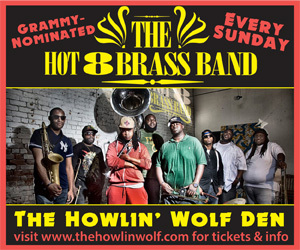 It’s a funky, blues-oriented EP subtitled “A Tribute to My Mother,” and you can get it from Amazon.com. It’s easy to treat Christmas music skeptically, but right now, Michael Buble’s Christmas tops Billboard‘s album charts with Justin Bieber’s Under the Mistletoe at number four and Jackie Evancho’s Heavenly Christmas at number 11. Andrea Bocelli’s My Christmas is at 16 and A Very She & Him Christmas is at 18 followed by Glee: The Music: The Christmas Album. Christmas music is good business for the recording industry and for radio despite many readers’ hostility for those that start playing it before Thanksgiving, but sales don’t necessarily help a song join the canon of Christmas classics. Finally, last year I posted a downloadable mix of Louisiana Christmas music. This year’s mix is less Louisiana-centric, but for those whose holiday needs a soundtrack, here’s an alternative to Michael Buble, with swamp pop, calypso, funk, country, and Sonic Youth covering Martin Mull. Previous PostPolice Horse Poppin’ on Bourbon Street: VideoNext PostHappening on Canal Street…Rebirth or Not?…and Merry Christmas!